Call Floyd Mayweather what you want—a professional troll, a runner, a coward, whatever. You still have to give him credit, because the man knows how to market himself. His millions of social-media followers is a testament to his brand. 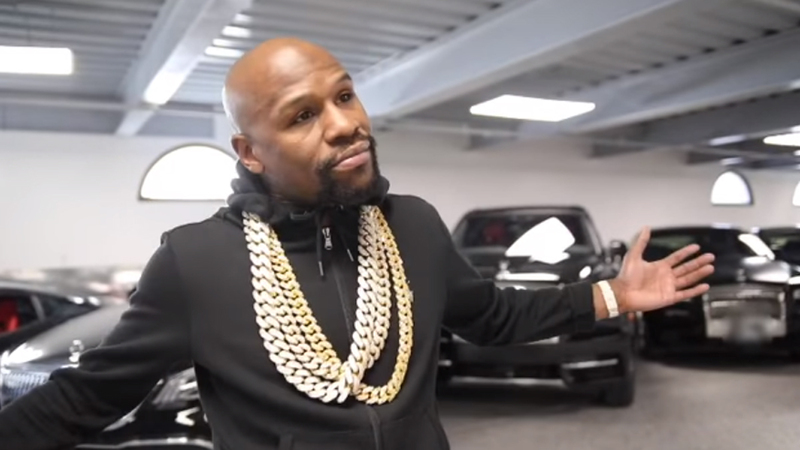 Mayweather then proceeds to show off nine cars in the Money May garage. There’s a Ferrari 488, a Maybach (Maybach, Floyd, not ‘Mybach’), and seven Rolls-Royces he calls ‘The Lucky Seven.’ It’s an impressive collection, no doubt about it. Well, that’s one minute of our lives we aren’t getting back. So, are you motivated or are you hating?